This is simple enough, especially considering this is your door’s function. However, it’s especially important to test the opening and closing of your door in different weather. It’s one thing for your door to operate smoothly on a dry day; it’s quite another for it to open and close without issue on a humid day or the morning after a storm. If your door has become waterlogged, it will swell and not fit into the door frame as it once did. This happens most frequently with wooden doors, and might be a good opportunity to look into steel or fiberglass doors. If your door expands on humid days, it’s probably leaking too much air and causing your energy bills to rise. Another thing to notice when opening and closing the door is creaking or scraping noises. These could indicate a problem with the hinges or, again, a bad fit. This could be bad news not just for your door but for your threshold floor. Another simple way to tell if your door is performing less than efficiently is to stand beside it and take stock of what you see and feel. You should not see light coming from underneath your entry door, and if you do, you have a faulty seal. You might also put your hand near the bottom of the door and see if you feel any air coming in. If neither of these methods give you much insight, you can always try this third step to determine whether your seal has shrunk. Take a candle or a small lighter and, lighting it, hold it near the bottom of the door. It should only take a second. If the flame flickers, it’s come in contact with a draft. That means the seal on your door has shrunk, and you’ll need to repair the seal or replace the door as soon as you can. Even a small draft can make your home feel uncomfortable and can raise your energy bills. Dents and scratches are more than just aesthetic inconveniences. They also weaken the structure of your door. Worn down doors are more susceptible to bugs, draft, and even mold, especially in humid weather. If your door looks chipped, rusted, or dented from hail, try to repair the damage if possible, but if not, it’s time to replace. If you’re unsure whether the door’s damage can be repaired, ask a Naperville contractor. 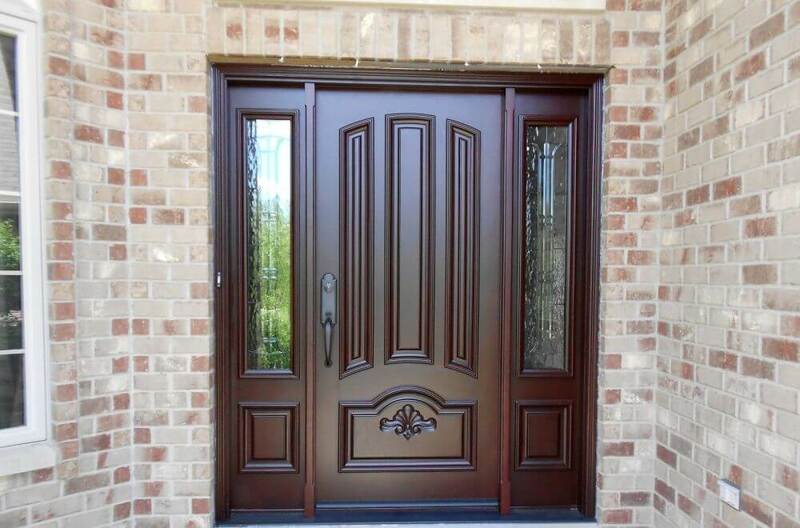 If you do need a door replacement, The Door Store is more than qualified to help with over 30 years of experience. We can give you a free estimate to repair or replace the door. Contact us today for more information.